Why Invest in Professional Pest Control Services? If your home or office is prone to insect or pest infestations, no doubt you have invested in at-home, store bought pest control products. While many of these products can offer successful, temporary solutions, many are not as long-lasting and safe for your family, pets, and home. Affordable Pest Control provides professional, safe and effective pest control services to residential and commercial clients. Our company has served customers across the East Valley since 2013, and is proud to be a trusted name for insect pest control services. We can help eliminate spiders, scorpions, flies, mosquitoes, earwigs, centipedes, millipedes, box elder bugs, crickets, ants, bed bugs, rodents, roaches, and more from your property. 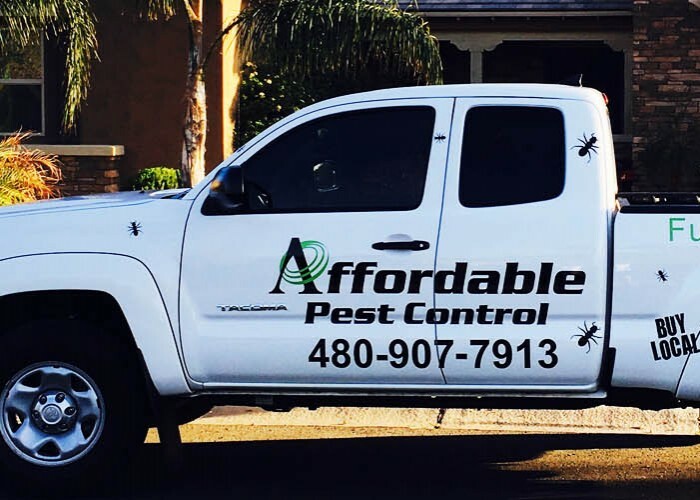 Our team has 30 years of pest control experience and specializes in controlling the many pests that inhabit Arizona. We strive for same-day services, and are proud to offer one-time, monthly, and bi-monthly service agreements. Professional pest control services not only ensure pests are effectively and safely eliminated from your property, but it helps prevent infestations in the future. This can help you save time and money on home repairs down the line. When you choose our company, you are choosing to live and work in a bug-free environment. We are committed to providing our customers with the most affordable and reliable pest control solutions. Our goal is to make it so you never have to deal with an infestation, and if you do, we are here for you every step of the way.